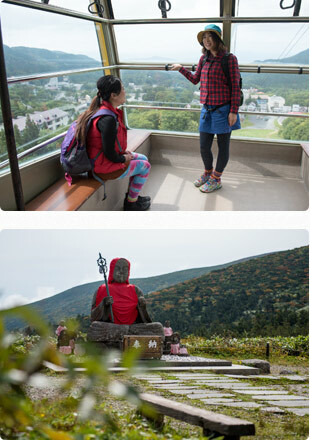 Zao Onsen is a tourist mountain resort village that can be enjoyed all year round, with trekking, climbing and strolling among beautifully colored leaves from spring to autumn, and skiing, snowboarding and trekking in winter. 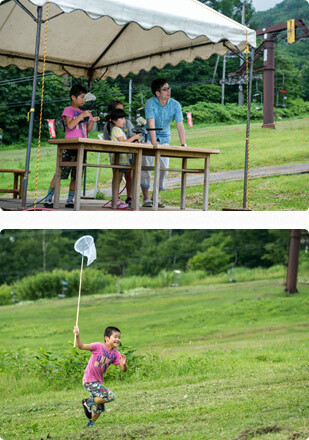 There are also numerous charming and enjoyable events and activities. 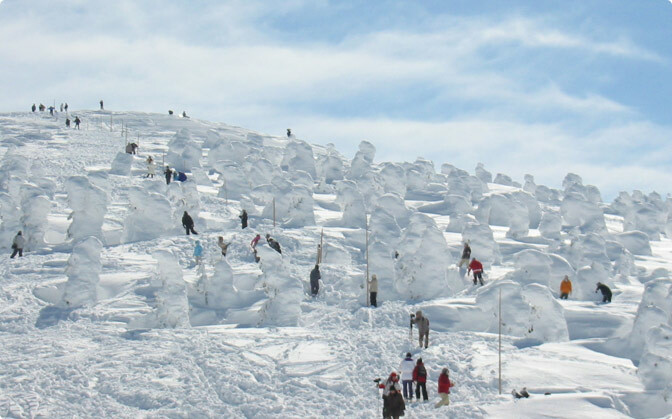 All these features help define Zao Onsen as a tourist mountain resort village. The Zao Hot Springs, there are emotional a spa town. 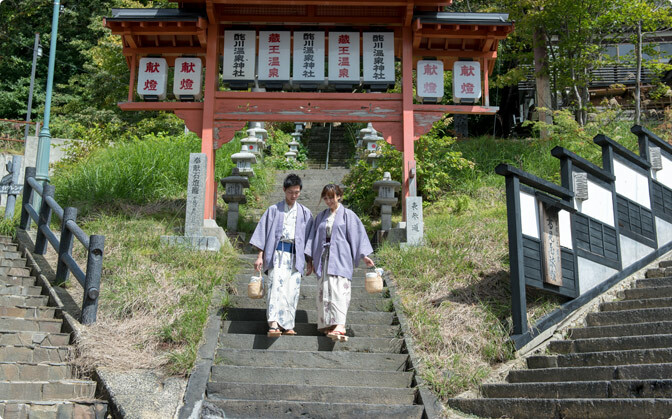 Wrapped in aroma and steam of the hot springs, let's explore the spa town. 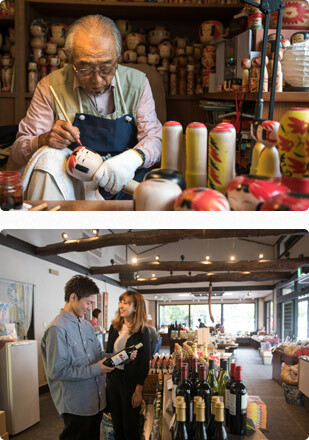 Souvenir shop and, cafe with a nice atmosphere. 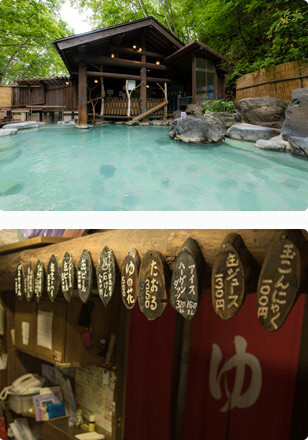 Contact is a recommendation of the spa town stroll for those who want to enjoy leisurely Zao Hot Springs. 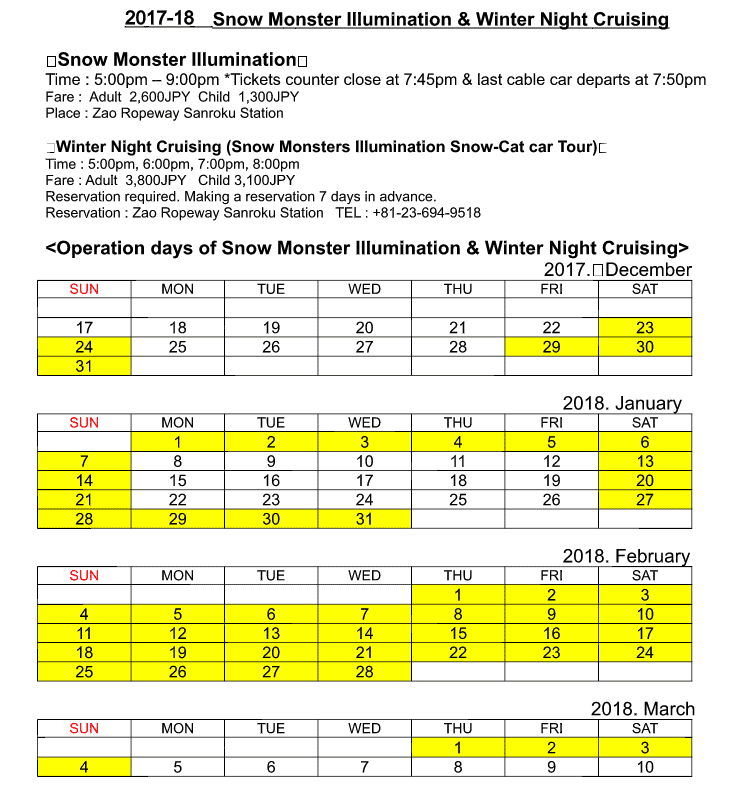 There are three different cable cars in Zao Onsen offering the opportunity to “walk in the sky” while enjoying a great view from above of Mt. 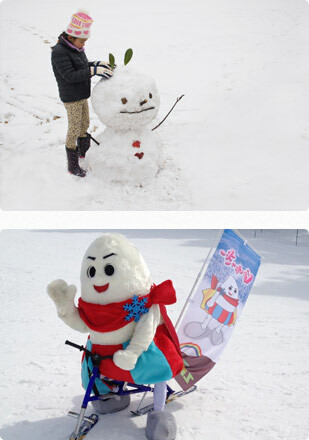 Zao in any season. 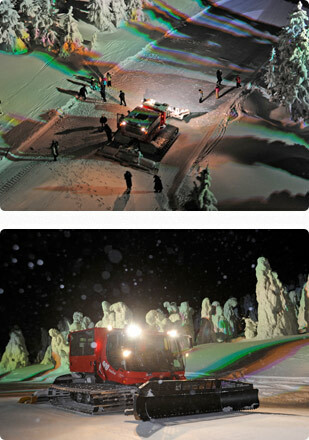 The Zao Ropeway is registered as one of Japan’s romantic Satellites of Lover’s Sanctuary. 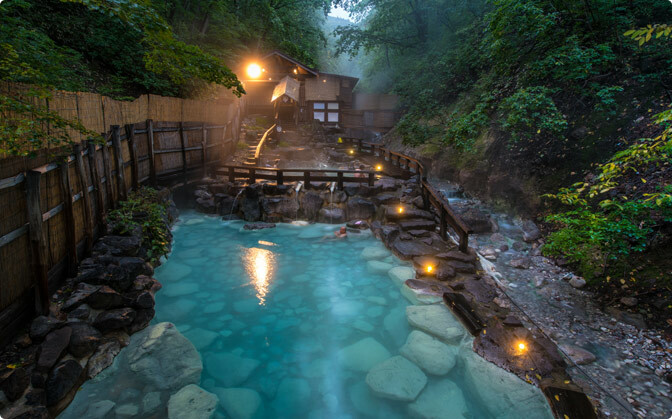 The Zao Onsen Big Open-Air Bath is a must in Zao Onsen. 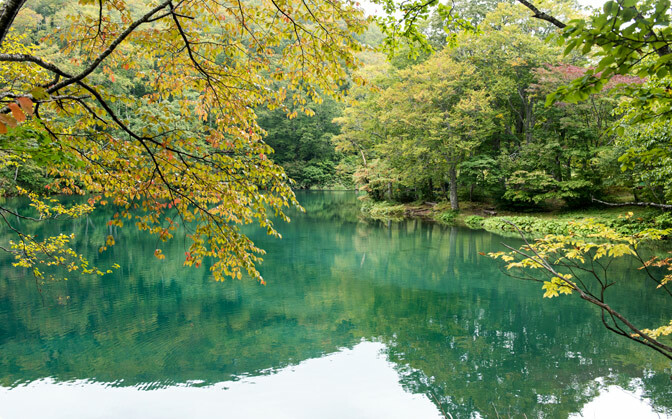 It offers a great outdoor bath experience surrounded by wilderness. 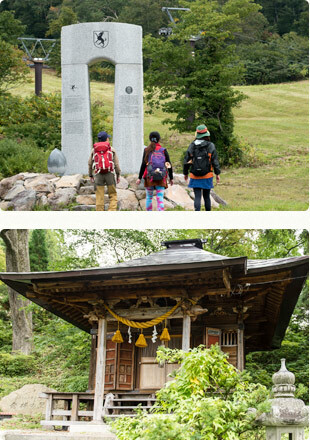 There are numerous trekking courses along the mountains near Zao Onsen. With an elevation of almost 1000 meters, there are various courses suitable for anyone from beginners to advanced-level trekkers, along with walking courses in the woods, but also in wetlands, bleak landscapes and volcanic regions. 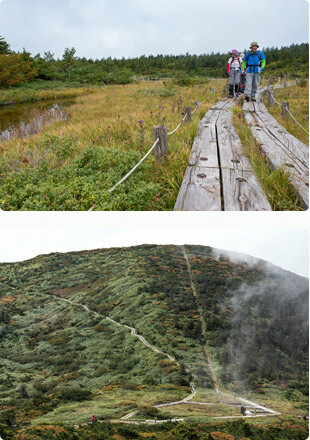 Another characteristic of Zao Onsen is to be surrounded by an abundance of vegetation, and an especially large variety of alpine plants. 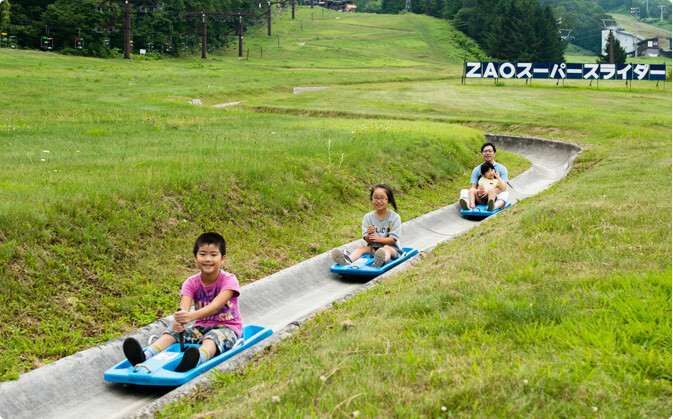 The Zao Onsen Super Slider offers a long slide down the mountainside while feeling the breeze of the highlands. Note that the slide is available to not only kids but also adults. 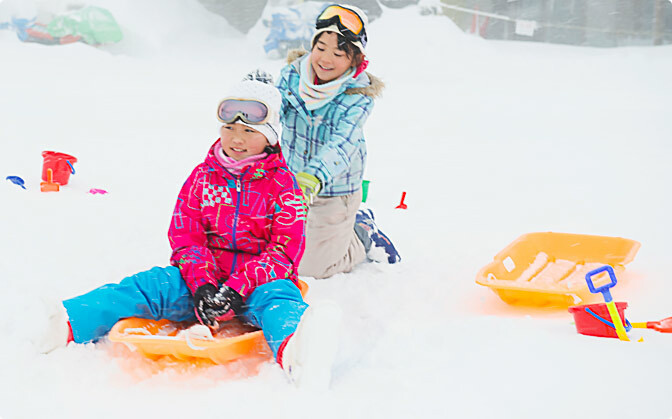 Snow Park has play safely children.The children rejoice playground equipment offers a lot. 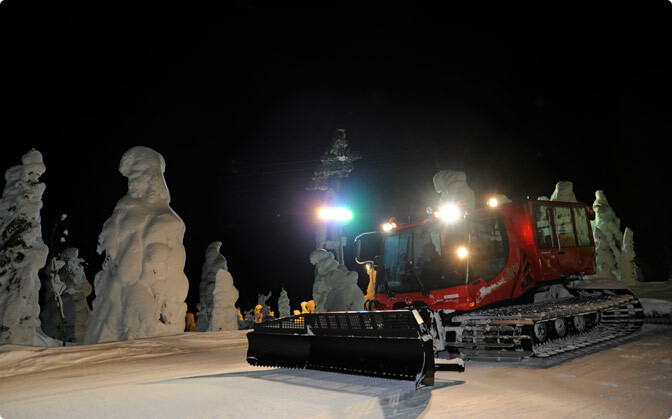 Take the new snow vehicle, you can experience up close the night of snow monster light up and hoarfrost. 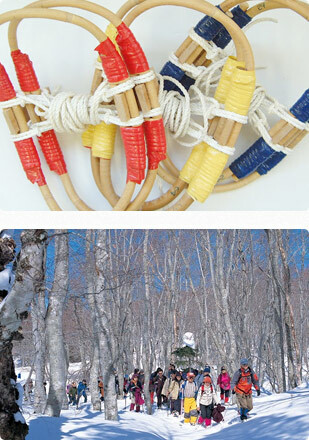 Walk in the snow wearing a snowshoe.You might meet a mysterious scenery of Zao do not know. 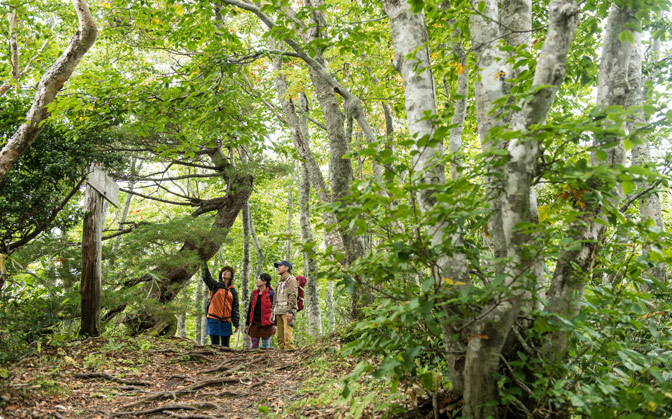 The nature-rich Zao Onsen offers different experiences with the change of seasons, with ice monsters in winter, cherry blossoms and ice walls in spring, a cool retreat and gardening events in summer, and color-changing leaves and a sea of clouds in autumn. 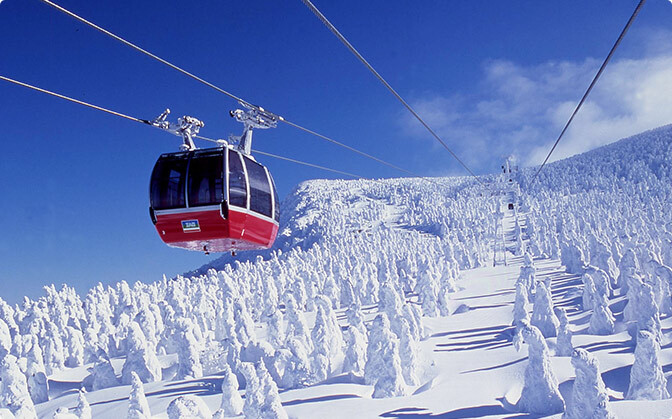 Enjoying such changing scenery all year long is another charm of Zao Onsen.